Good Morning! For those of you who were wondering what's going on at Keep Your Fork Farm, I'll catch you up! It's been a wonderful and busy summer so far. The little orchard looks great. When I get it weeded again, I'll send some pictures but right now, it needs a little attention. You may remember that we planted European Filberts (blight immune cultivar) and a couple of different varieties of oaks. Well, only the filberts and downy oaks survived. The other little oaks bit the dust. We will not replace them since the downys are looking so healthy. The trees themselves look great. It's between the rows where we need some work. I promise, I'll get to it and then you can see how beautiful the replacement orchard is. We are setting our intention for having truffles there in 4 -- Yes, I said FOUR -- years and making plans to make that happen. We will be doing everything in our power and hoping Mother Nature smiles on us just to make that a reality so, stay tuned. Pruning -- Removing the small branches (we call them suckers) from every tree so they can breathe more easily. Fresh air through the tree helps a lot. 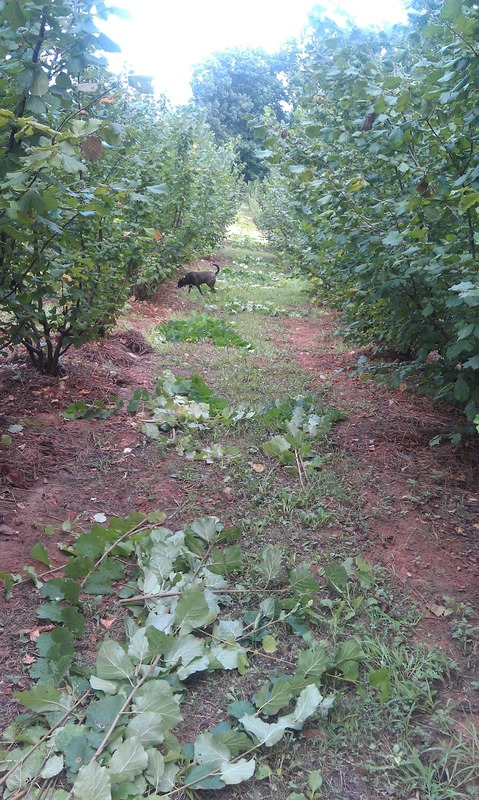 Last year, we pruned 400 trees. 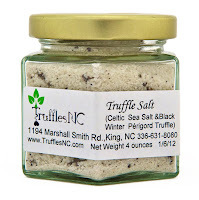 This year I'm up to my neck in the value-added truffle product business so I'm hiring to get it done. Whew!! Right now, I'm writing to you instead of pruning, but I'm also thinking about the market tomorrow. Have I told you lately how much I love doing the Cobblestone Market at Old Salem? It is the absolute best. The magazine, US News Travel voted us the 11th best in the nation and this farmers market is only a year old. I just wish I could be there during truffle season. It would be the beginning of the first ever US Truffle Market. I think that would be way cool. With so many truffle farmers in our area, we could put North Carolina on the map as the truffle producing center of North America. Oh, well, I can dream. We have a producer-only farmers market where you can find the most beautiful produce I've ever seen in the world and you get to talk to the farmer. It's all farmed sustainably with no pesticides and all that. Several of the farms are certified organic. We have music and a beautiful environment with the market located right next to the gardens. Folks bring their dogs and kids. It's just a happening place to be on Saturday morning from 9-12. If you're in the area, come on by! 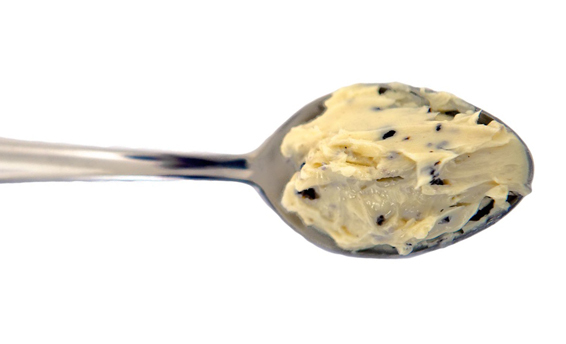 It's where we sell the truffle butter, salt, honey and truffled white chocolate and we're always sampling something. If you can't get there, shop the Etsy store. with creamy grits topped with truffle butter, you really should. You have 2 more weeks before Chef Jay changes the menu. 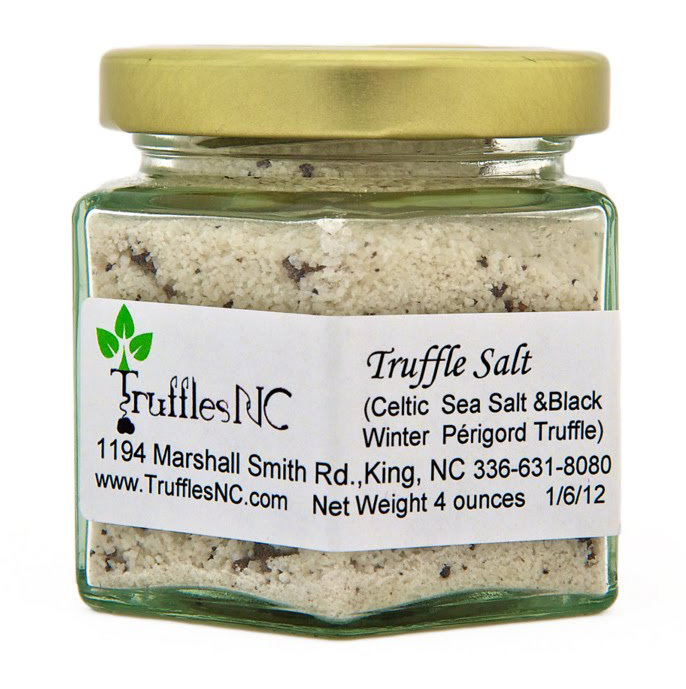 For all you Atlanta folks, our truffle salt is soon to be available at Whole Foods Market, Buckhead. Shop there and ask them "where is the truffle butter, honey and truffled white chocolate?" Then, when they get all those products in there, I'll come down and demo. That would be a fun time!! Jane - We're pruning like mad up here too. The oaks have grown like crazy. This is the second time we've pruned this year and I expect to go at it again in December. I love your optimism and share it too!